A long time ago there was a marketing executive working at a prosperous credit union. She was very successful at her job but found there was a large gap of increased business when it came to the credit union’s direct mailings as well as their digital marketing. Some of their members prefer to be notified via online marketing whilst others appreciate the old school direct mailings. Her newest quest was to promote a valuable upcoming loan special but, how will this marketing executive be successful in promoting this information to existing members as well as new members? How can she win both sides of this battle between direct and digital mailing? Mail Delivery Tracking- track the expected AND actual mail delivery. Call Tracking- know an exact number of generated calls as a direct result of the campaign and listen to recorded calls for quality control and training purposes. Automated Follow up- Continue to present the offer to direct mail recipients via the Google Display Network and Facebook; drive people back to the website to take action. 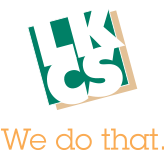 This executive placed her faith into LKCS and was over the moon with the results of using Campaign Suite. All she had to do was contact her sales representative and they provided her all the information she needed to convince the credit union that this was the appropriate path for their promotional success. Campaign Suite is offered at a fixed cost based on the campaign volume which results in a higher return on investment for her credit union’s direct mailing. For just adding pennies per mail piece, this service paid for itself many times over. To make your own marketing fairy tale a reality, contact your sales rep today!